What Is a Rice Cooker Pot? 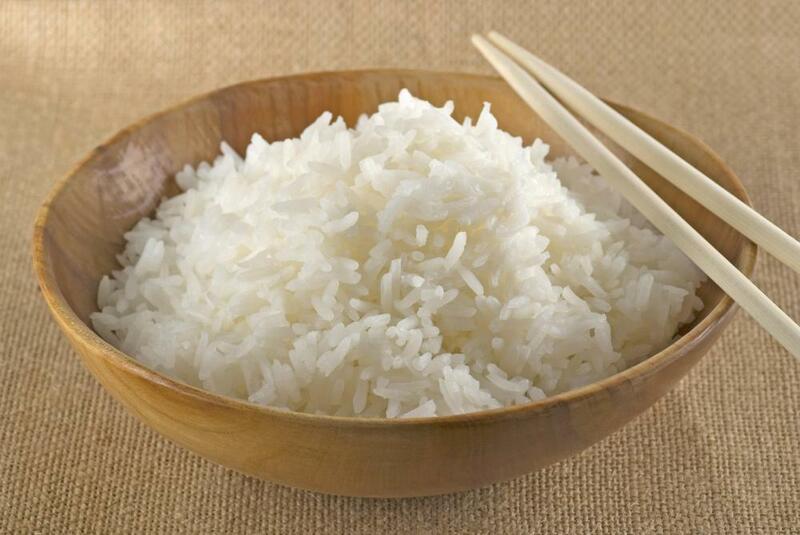 A bowl of rice made in a rice cooker. A rice cooker pot is the actual container used to hold rice — and any other foods — during preparation in a rice cooker. The art of cooking rice — a staple grain that is central to many cuisines — requires controlled steam. The rice cooker is a kitchen appliance invented in the 1950s to more easily cook rice by helping to control that steam. The Japanese were the first to use rice cooker pots. 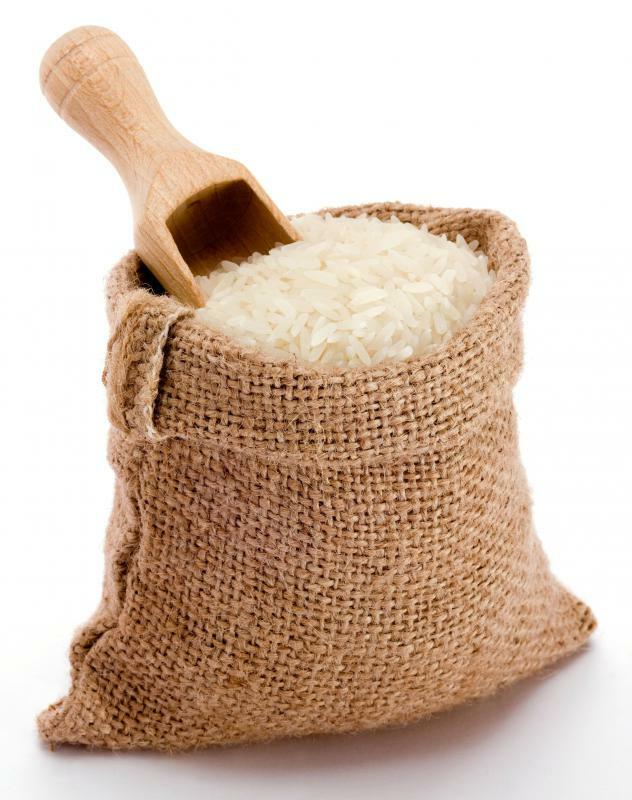 Households in which women worked outside the home were the first to embrace this rice preparation method. The availability of electricity became more widespread in urban and rural areas around the world after World War II, and this helped to increase home use of electric appliances such as rice cookers. Using a rice cooker pot allows one to prepare rice in approximately the same amount of time that it would take on the stove. Speed isn't the selling point. Instead, the temperature-regulated apparatus allows a cook to put the rice and water into the appliance, set the timer and walk away. One no longer needs to watch the rice until it boils, lower the heat afterward or stay in the kitchen to keep an eye on a pan of cooking rice. Using a rice cooker also frees up a stove burner that one can use for other food preparation. 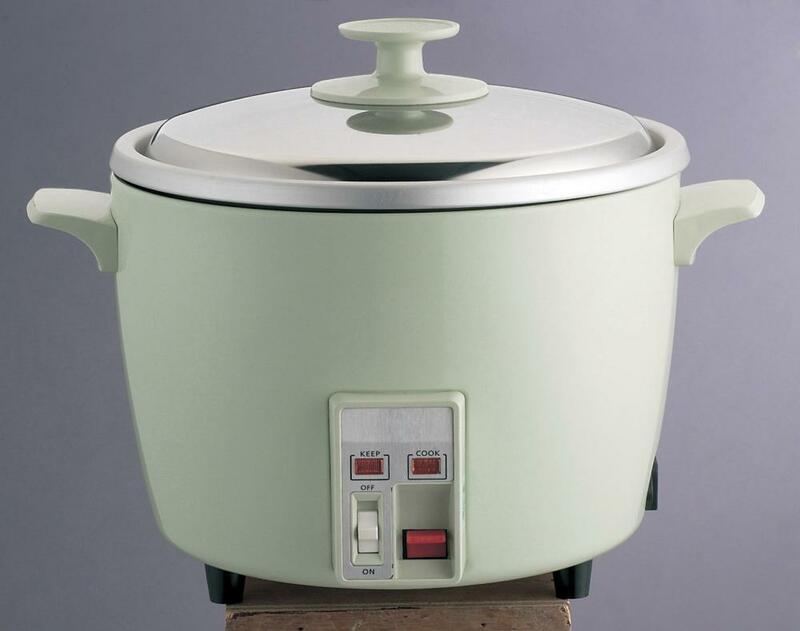 An electric rice cooker pot is designed to control the rice-steaming process better than any stovetop cooking pot can. The temperature regulator adjusts the amount of heat that produces the steam the rice grains need to become fluffy. A good rice cooker also can hold cooked rice at serving temperature without drying out the rice. The heating element in a rice cooker normally is below the rice cooker pot. Simple models have an on and off switch with a temperature setting dial. Advanced rice cookers may have a digital control panel. A rice cooker that has digital controls lets one input the quantity of rice, set more precise temperatures and select a preferred cooking time. Rice cooker pots typically are non-stick bowls or containers inside the plastic or metal body of the appliance. The non-stick feature is one of the appliance's most useful features. When one cooks rice in the appliance, there is no need to worry about having to scrape stuck-on rice from the cooking pot. Some advanced cookers have a steamer tray to accompany the rice cooker pot. This tray allows a person to prepare vegetables or meats while cooking the rice. When not cooking rice, the steamer trays are useful for warming bread. One can use a rice cooker pot as a multi-function kitchen appliance by adjusting the temperature and cooking time. In addition to cooking rice, one can use rice cookers to make polenta, frittatas and even bean dishes. When used in this manner, it is necessary to adjust the cooking process instead of letting the cooker function on an automatic setting. How Do I Choose the Best Rice Steamer? How Do I Choose the Best Digital Rice Cooker? How Do I Choose the Best Rice Cooker and Steamer? What Are the Best Tips for Making Bread in a Rice Cooker? What Is a Rice Cooker Bowl? How Do I Choose the Best Rice Cooker and Warmer?